In 2011 I qualified in five Complementary Therapy disciplines at the Royal National College for the Blind, Hereford. I have since been working as a therapist in clinics with regular clients at the Holland House Hotel Spa, Kingsdown Sport Centre, The Practice Rooms, Hamilton House, for the MOD, an insurance company and now in my delightful sole premises at the Cameron Centre, Lockleaze. 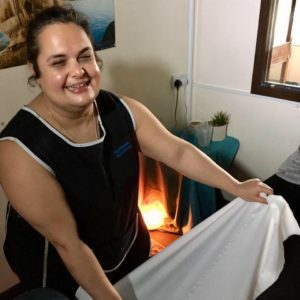 I offer body conscious clients a unique level of privacy, due to my blindness. My motivation to become a therapist was my love of people and the desire to help reduce clients’ stress levels. I enjoy various sports, such as sailing, swimming, yoga, boxing and tandem riding. The physical aspect and style of my massage makes being a massage therapist the perfect job. At 17, I qualified to swim for England in the National Squad. After 3 years of training in the form of 500 lengths most days, I was suddenly rushed to Moorfields Eye Hospital and told I needed to stop all sports. I feel that experiencing this first hand gives me a good understanding of my clients’ frustrations when they have injuries and their bodies won’t perform as they wish them to. Since 2009, I have enjoyed various experiences of sailing. I started off on large yachts with the east Anglian sailing trust and worked my way down to dinghy sailing. 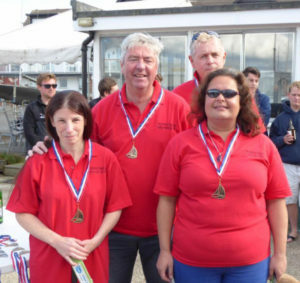 In 2010 I started training with the GB blind sailing squad. I soon fell in love with racing! 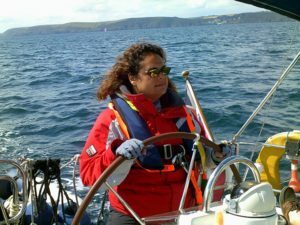 I train at monthly weekend sessions, on Lake Windermere with Lakes Leisure and on the Isle of Wight, where we are resident at the UK Sailing Academy and supported by boats belonging to the Cowes Corinthian Yacht Club. In January 2012 I was training on a keelboat in the Solent with two other blind sailors and a sighted tactician. It was snowing! I fondly reminisce I had a huge smile on my face the whole time I was at sea. The irony, I could still have a smile on my face even though I couldn’t feel it! 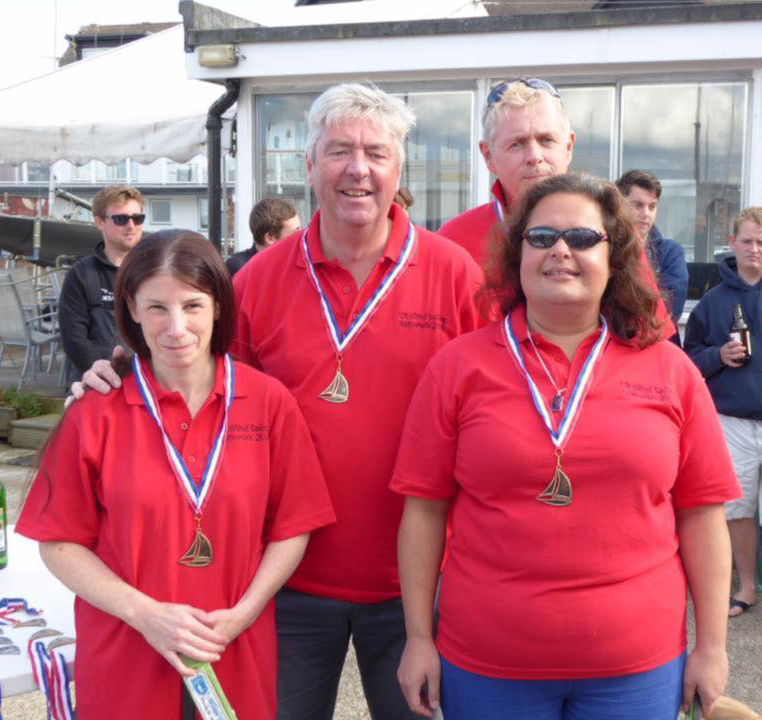 I have been the blind national sailing champion since October 2016. In March 2017 I was chosen to represent the GB squad at the International Match racing sailing competition in Salerno, Italy. You can expect an energetic and professional treatment. I work efficiently and with a detective’s approach. In just one hour of your time, I can guarantee you will have been transported to somewhere else far far away, but seem to return to reality well rested, rejuvenated, energised and calm. You know that feeling you get from a really good holiday, it’s over too soon isn’t it? Well, my clients have repeatedly remarked that they didn’t just feel better for a while post treatment, it lasted 7 whole days! So next time you think you could really do with a treatment, but you are too pushed for time, consider, could you afford to take an hour out, knowing you will get 7 days of relaxation? Investing in a massage could help you regain positivity, energy and focus.